UPDATE: Hard to believe, but a tip on Foscam's support forum from some random user turned out to be more helpful than Foscam. A user on the forums reported that they got their wireless functional by simply popping open the camera, and then adjusting the wire connected to the camera's antenna. Lo and behold, upon opening up the camera (and surely voiding its warranty, but no matter at this point as far as I'm concerned) and then removing the wire from its little post, reattaching it, then grinding it around the post back and forth a few times, suddenly the camera is able to detect my wireless network! Foscam should enclose instructions telling their users how to crack the camera open and do what their QA department should've done and ensure the connection between the antenna and their camera is solid. 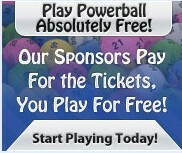 Or, even better, Foscam should do this testing prior to selling a $150+ camera to its customers! I am pleased to be able to review the recently released Foscam FI9821 IP camera. Perhaps in part due to my rather frank review of their FI9820 model, Foscam has just recently premiered the FI9821, with similar capabilities as the FI9820 but, I hope, fewer outright bugs than the previous model. Inability to connect to a wireless WPA2 network that uses a complex passphrase with any non-alphanumeric characters. 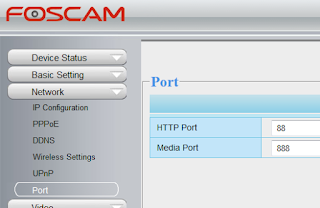 As reported by Foscam, no further firmware support that might resolve these and any future issues. I must give credit to Foscam's tech support. Courteous and respectful to the last, even when I threatened to contact my bank to dispute the credit card transactions associated with my purchase of two FI9820 cameras, they fulfilled an RMA request and provided me with a FREE upgrade to two FI9821 cameras at no cost other than for shipping the old cameras to their Houston, Texas facility. Now, on to the review of Foscam's newest camera. The cameras each arrived carefully packaged via USPS Priority Mail. My first minor disappointment came in the form of the AC adapter, its cord is still a mere 3 feet in length, less than I'd like. 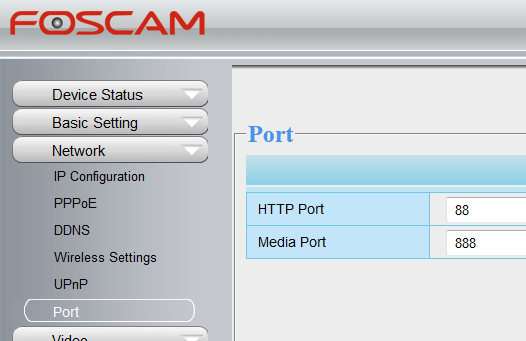 I plugged in the power and fired up the camera, then assuming it would utilize DHCP to acquire a network address from my home router, I scanned my network using the handy free utility, Advanced IP Scanner, to ascertain its IP address so I could point my browser to it and configure it. No joy, the MAC address of the camera didn't appear to be detected by the software. I uncharacteristically decided to consult the manual, which instructed me to pop the included CD into my drive and run the IP Camera Tool utility to help detect the camera on my network. Upon doing so, the camera was indeed detected, but strangely its TCP port had been set to 88 at the factory rather than the industry-standard 80 for http traffic. I accessed the camera's interface, and promptly changed the port to the standard port 80. So far, so good. Next I tried to configure the wireless network settings on the camera. The interface isn't terribly helpful, for one, it seems Foscam expects your wireless network's SSID to be broadcast rather than hidden. I prefer to keep my SSID hidden to minimize the chance some passerby might see it and gain access, but as was the case with the FI9820, this new model wants your SSID to be broadcast. Despite setting my SSID to be broadcast, this camera seems to NOT want to connect to my wireless network. This as of the most recent 1.1.1.10 firmware update. I simply cannot review this camera any further until I'm able to connect it to my wireless network. I've contacted Foscam support, hopefully they'll address this issue sooner than later.